Wigwamen Terrace (14 Spadina Rd.) has received $700,000 to fund a three-storey expansion that will add 24 new affordable housing units for Indigenous seniors. Toronto City Council approved the funding late last month. “What this does is ensure that Indigenous seniors can continue to live in downtown Toronto and that the Annex can continue to be a truly mixed-income neighbourhood and truly compassionate, complete community,” said Joe Cressy (Ward 20, Trinity-Spadina), who sponsored the motion approving the funding. Wigwamen contacted Cressy last year about finding money to expand the building, and raised $1.1 million for the expansion. This also includes funds received from two local developments, including the 666 Spadina development. Cressy worked with the Annex Residents’ Association (ARA) and the Harbord Village Residents’ Association (HVRA) on bringing the project to fruition. ARA chair David Harrison said that the association’s planning and zoning committee reviewed the plan to expand the Spadina Road apartment building. HVRA chair Gail Misra said that Cressy asked her association if it would be okay to use Section 37 money being held for the community for expansion, which she approved because it was an extremely worthwhile project. 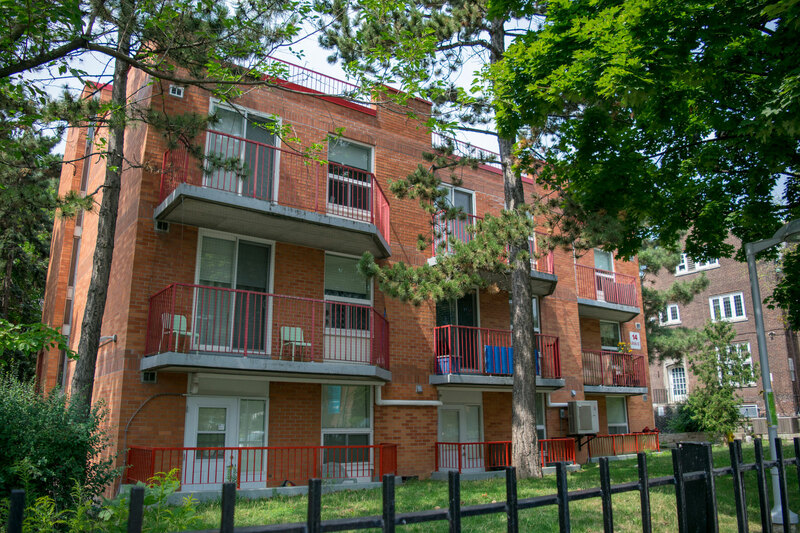 “Even though Wigwamen is outside the boundaries of the Harbord Village area, our board was unanimously supportive of the creation of more affordable housing in our general community, and especially for Indigenous community members,” said Misra. Built in 1979, the Wigwamen Terrace is a 104-unit apartment building that provides affordable housing for Indigenous seniors. Each unit is a wheelchair-accessible one bedroom with a private balcony. Wigwamen is also part of Open Door, a city program that aims to build up to 7,000 affordable homes to buy or rent by 2020. 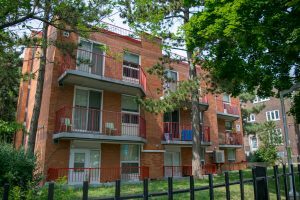 The Terrace is owned by Wigwamen Incorporated, a non-profit organization that is the oldest and largest provider of urban affordable Indigenous housing in Ontario. They also have two other apartment buildings in Scarborough, Estorada at 228 Galloway Rd. and Waabnog at 20 Sewells Rd., along with 214 housing units throughout the city. The average rent of a one-bedroom apartment in Toronto rose by almost 9 per cent in 2017, and the vacancy rate is at 1 per cent, the lowest in 16 years. The trend continued in the first half of this year, according to a report from Urbanation, a real estate research firm. It also showed that almost half of renters pay more than 30 per cent of their income towards their rent. Cressy said home affordability and availability is a citywide issue that should be addressed. According to a report by Dr. Janet Smylie, an Indigenous health researcher at St. Michael’s Hospital, there are between 34,000 and 69,000 Indigenous people living in Toronto, which is approximately two to four times more than what’s reported by the census. Her report ascribes this difference to the more than one third of Indigenous Torontonians who live in precarious housing or experience homelessness. This means Indigenous seniors are at greater risk, said Palmer, and that the Wigwamen Terrace expansion is “one small step towards providing deeply affordable housing for people who are in great need of it”. Cressy said affordable housing can solve many of the city’s challenges, and that providing housing is not just the smart thing, but the moral thing, to do. Palmer said the federal and provincial governments must act to help the Indigenous community. “It is time to move beyond consultation and it is time to actually roll out an affordable housing program for urban Indigenous people,” he said.